Remix OS from Jide is loaded with a lot of exiting features. They have received much applauds from users around the world and is considered to be a great rival to Google Android. Remix OS has got the ability to turn into a full-proof desktop OS loaded with taskbar and multiple Window support. These similar options are also available with Phoenix OS. Very conveniently Phoenix OS have received a suitable hardware counterpart in the form of Alcatel. The new hybrid device is named Xess 17 is loaded with Phoenix OS. Alcatel Xess 17 has a thickness of 9.15mm and it a heavier device when compared to similar devices. Xess 17 from Alcatel is loaded with a display which comes to be 17.3 inches IPS High Definition LCD display. The resolution of this display comes to be 1920*1080 pixels. 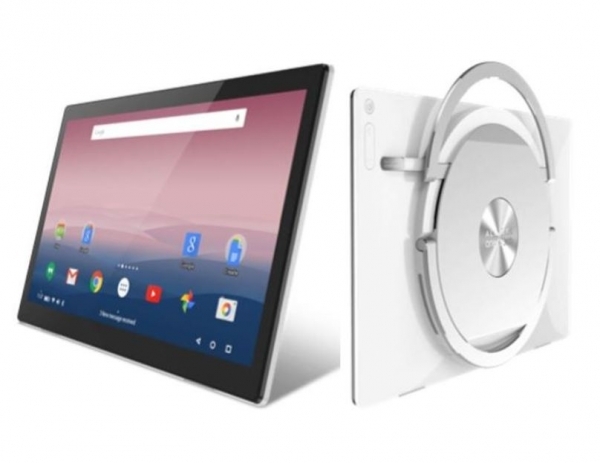 The tablet has various kickstands, with the help of which tablet can be set to stand at various angles.Xess 17 is also loaded with its own in-built Stylus. This is loaded with distinct Sketching Program. It is loaded with its own Air gesture support, which refines the navigation of interface. Xess 17 is supported by MediaTek MT8783T Octa-Core processor loaded with a clocking speed of 1.5GHz. This processor is also supported by a RAM of 2GB. The internal storage comes to be 32GB, but you are allowed to expand this to 128GB with the help of external microSD memory card. As I mentioned earlier, Xess 17 is supported by Phoenix OS whose functional capacity is similar to that of Android version of OS. Xess 17 offers various connecting options. This includes WiFi, Bluetooth and GPRS. The device holds an extensively huge battery. Xess 17 is loaded with a battery having 10000mAh capacity, which is able to run extensively bigger apps along with multi-media for a longer period of time. Alcatel Xess 17 pricing is not officially announced. But it is strongly rumored that this will be around $210 to $275. The device was already launched back in last September when company told that it will feature Android OS. But when it was officially launched at CES and MWC, they are loaded with Phoenix OS. Xess 17 will make its way to US by the second quarter of 2016, but will be launched to European markets only by next half of the year.